This entry was posted in Child Raising, Children, Kids, Parenting, Toddlers and tagged child raising, Children, doctor, emergency room, kids, Parenting, toddler. Bookmark the permalink. lol. My daughter loves the Dr. too b/c she gets a sticker. The place I dread most is the play area at the mall, a.k.a., the petri dish. At least, you are fine. I get every bug my son catches. No wonder I don’t have any leave for a nice vacation. I never use “sanitizer” or avoid group play areas and my kids very rarely get sick. I’m sure some kids have better immune systems than others. I can see my oldest is now getting less sick than before without his tonsils and adenoids. It probably doesn’t help that my poor kids have been stuck in daycare and school since they were only a few weeks old. The petri dish environment surely multiply the possibility of catching bugs. A friend of mine had that happen to his 4yo. Stomache ache and fever etc… Coming and going every couple of weeks… It ended up his son had leukaemia… Maybe get a blood test?? It was the damn tonsils. We got them out last summer and since then, colds have been very few. OK from someone who has had a kid sick since august when school started. MY opinion, just an opinion is kids get sick when around other kids, THAT parents will not keep home and take care of, sorry but true, they cant miss work that meeting even social events, sick kids welcome to the easter egg hunt and in a bounce house with more than a dozen other kids. SO you were sick last week? TOO BAD your gonna be sick again this week. Because my life can’t stop for an ounce of consideration. I have volunteered in classrooms (soon stopped, I was getting sick) just to see kids with fevers stomach flu etc, one mom wiped her kids snotty nose on HER own shirt and sent him in the class with a barking type cough, guess what 4 days later my son was barking. schools do not send them home because they want attendance up. if your not bleeding you can have a seat in class, at least here in california. There are people at home whom can catch this stuff some with weekened systems, elderly people infants ect, that could easily pass away from the stuff kids catch and pass along. But oh well nobody want to take care of their own kids when sickness hits. Now as I write this it is our spring break I have spent good money for the plans I made all cancelled due to a fev er of 102 that we cant break. oh well I had plans, guess I dont now. too bad for me. people can be so selfish! I so agree with you. I can’t believe how many kids go to school and preschool when they should be staying home, and teachers are too lenient accepting kids in their classrooms. Yes, it should be silly to turn away a kid with the sniffles because colds can last several weeks but a hacking cough or disgusting snot should be where they draw the line. I think there are two kids of parents who send their sick kids to school. 1) The parents who don’t have sick days available to take care of their kids, or they don’t get paid. It’s a financial decision they make, over the well being of their kids. No parents should ever find themselves in that situation, but with the way American businesses treat parents, it happens too often. 2) The parents who don’t want to take time off to take care of their kids. I know plenty of those selfish people who are too wrapped up in their own careers and lives to actually take care of their kids, like every parent should when they decide to become parents. Unfortunately I believe this is the majority of cases – parents who only want to deal with their children when they are well and don’t want to handle the sick days as they should. Yes, it’s all about selfishness and it’s a sad fact. I always keep my son home when sick. But yet he still gets sick every other week from the other kids that get sent to school. I, too, find it frustrating when parents care more about work then their kids. I completely understand those that can’t afford to keep their kids home but for me I don’t care! Ill stay home a week if I have to. And fortunately my work is awesome enough to let me! I agree completely! Ill quit my job if the don’t let me take care of my sick kid. He is more important to me than anything! My 5-year-old daughter is just like your kid, she gets sick every 2-3 weeks. She also has asthma (that is well controlled though). I work full time and so does my husband. We don’t have much help, so when she gets sick, I either take her to my MIL’s house in another city before work and pick her up later or I work from home with her. It’s stressful and tough. There must be something that could be done. I’m at my wits end and looking for some solutions. With kids, Murphy’s Law in Action is right! When H1N1 (or vice-versa?) was a big threat, in the middle of the night my daughter drove our young grandson to the hospital ER in the next town (Dad stayed home with our granddaughter). Things just didn’t “seem” right with Gannon’s symptoms. The test was perfected by then–a long swab all the way up the nose and held for a time limit–yep, he had it. To this day he proudly says he got a shot up his nose and Gatorade as a prize from the nurse, but the entire family was quarantined. Both kids and Dad (a cop) got it, but our daughter never did. She couldn’t afford to. Somebody had to care for, feed, hydrate and clean up after the others. There’s a pure Murphy’s Law for Mothers, too. Oh my gosh, what a nightmare! Your daughter was very lucky not to get it and I’m glad everyone recovered well. We got it with the worst stomach bug just before Christmas and we all got sick at the same time. It’s horrible to have to take care of a sick kid when you sit on the toilet and hold a bowl at the same time… My mom was visiting and managed not to get sick at all but she stayed away from all of us, so no help from her. I can’t blame her, seeing how sick we were, I would have stayed away too! You’re kids have grown that bit older now, are there less doctor visits now? I googled this topic because since 3 year old (3yo) started Montessori 2 months ago we seem to be in the Doctor’s office every week with either him or his 2yo sister or 8month old sister. 3yo had strep about a month ago too… right now the girls are at the Doctor with my husband, I was there earlier in the week with all three of them so I just couldn’t face going back… sigh! 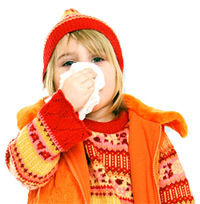 Yes, my kids do get sick less (knock on wood). While I used to visit the pediatrician’s office several times a month, now it’s just a few times a year. They still get sick but not to the point of having to see a doctor. Most of their cold symptoms are not serious and I haven’t seen any upper respiratory infections for a while. We get flu shots every year, so it helps too. I have them get the nasal vaccine, since it’s supposed to be more effective and it seems they don’t get sick when the rest of the class does. The worst is the stomach bugs, because they are so contagious. I think teachers have improved the sanitary conditions of the classroom and kids are getting less sick because of it. They sanitize the desks and common areas more common and kids are using more hand sanitizer. I put sanitizer in my kid’s lunch bag so he uses it before eating and I think it helps too. Every little bit you can do to reduce the risk of catching germs helps, especially when you see how kids love to wipe large surfaces with their hands, only to put their hands on their faces just after that. Good luck! Haha, I never thought about that, but I bet you’re right! I’m going to warn my kids next time we go they’ll get something else. My son has strep throat 3 times so far. Our worst was when he had on and off fever for 10 days despite of the Penicillin shot. Scared me not knowing why it took that long for the fever to go away. Summer his been healthy except for some nasal allergies. School starts tomorrow and we all know kids get all kinds of bugs as the season starts getting cooler. Thanks for sharing this very informative post. Have a great weekend. It definitely gets better as kids get older and build up their immune system, but if one of them is sick, the other gets sick soon after, and then me. Using a hand sanitizer at home and at school on a regular basis seems to help a bit. I sure would be nice if every classroom/preschool room had easy access to a sink with soap water, but usually its down a hallway in another room. Bathroom trip washing only. My kids are lucky to go to a school that has sinks with soap and running water in every classroom. It doesn’t mean the kids use them, but at least they’re there. I agree that toddler and preschool sickness is due to school. Although my little guy had a rough start in life (seizures and extreme allergies), he seemed very healthy between 3 and 5 years old. Then he had his first school experience; he went to school a grand total of 2 months out of 6. Thank goodness I’m not working because employers do not understand when you have to quit due to your child’s health.